Note: Your Username must be letters and numbers only and your password needs to be at least 8 characters long including one uppercase letter and one number. 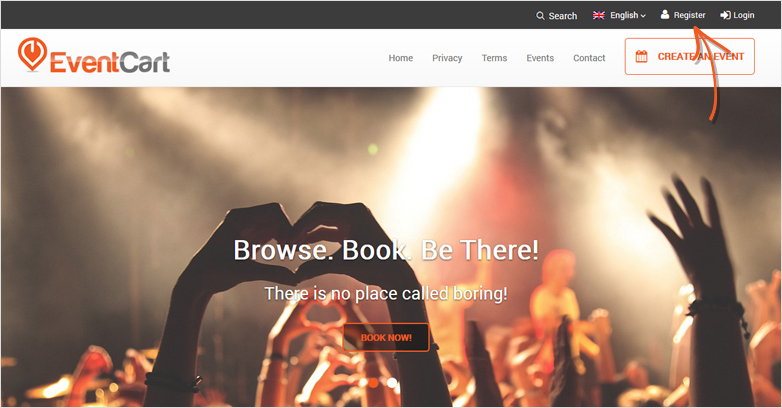 EventCart allows you to login using social media platforms i.e. Facebook & Google. You can also login using your own email address. Below are the steps which will guide you in logging in on EventCart. 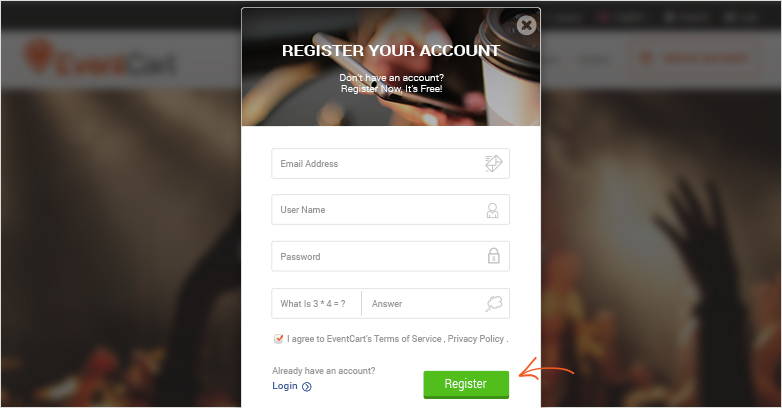 In order to log in by using your email, you need to register first (please see “How to create an account on EventCart”). Click ‘Login’ on the upper right corner and a pop-up window will appear. You can ask for a new password by clicking the link ´Forgot your password?´. 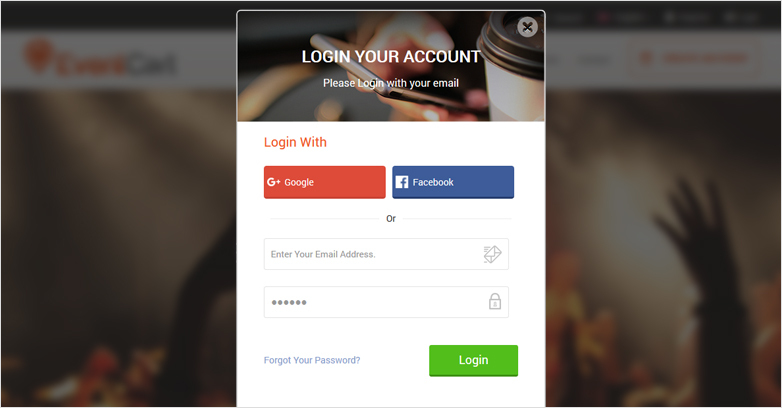 Simply enter your email address and then click ‘Recover password’. You will receive an email containing a link. 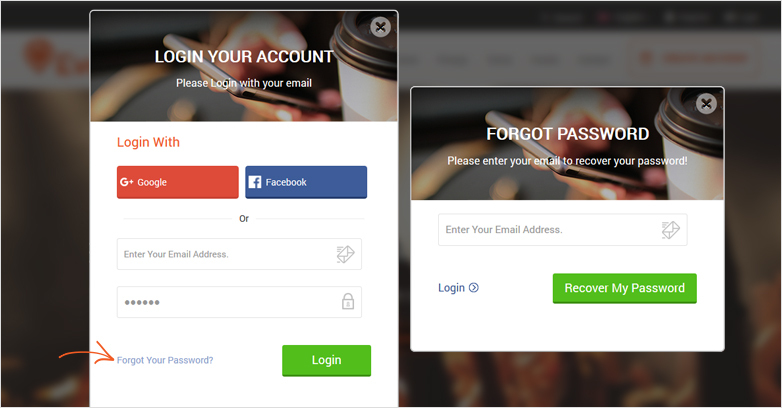 Click on the link and you will be forwarded to create a new password. Please log in to your account and click on your name on the upper right corner and choose ‘My Profile’. 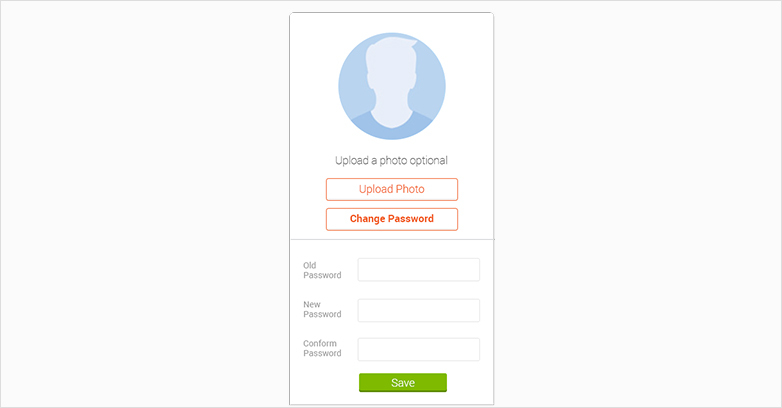 Click the button ‘Change password’ which appears on the right below your profile picture. Enter your old password, then the new password, and finally, confirm your new password once more. NOTE: The password needs to be at least 8 characters long including one uppercase letter and one number. You can choose to give as much information as you want and you can update your information when needed. You can choose to upload a profile picture. When you have provided your information click ‘Save’.